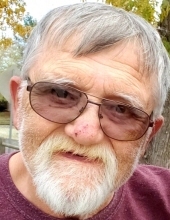 Steven E. Fritsche 69, of Aurora, CO passed away January 15,2019. He was born February 15, 1949 to Haven and Elsie Fritsche in Minnesota. He is survived by his wife Yolanda Fritsche; sons Larry Fritsche and Erik Fritsche; 4 grandchildren and many more family members and friends who will miss him dearly. Steven was a retired veteran in the United States Air Force where he served his country for over 20 years. He loved his country and his family. To plant a tree in memory of Steven Eric Fritsche, please visit our Tribute Store. "Email Address" would like to share the life celebration of Steven Eric Fritsche. Click on the "link" to go to share a favorite memory or leave a condolence message for the family.